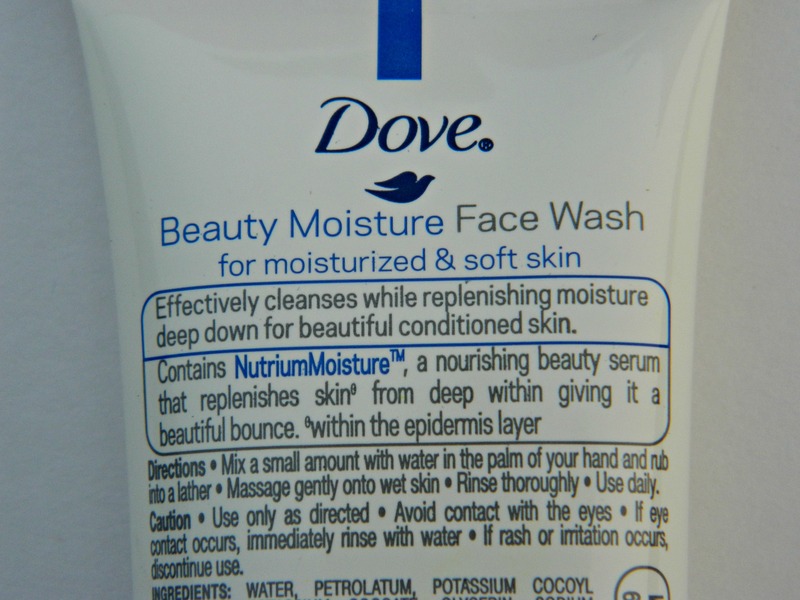 Effectively cleanses while replenishing moisture deep down for beautiful conditioned skin. Contains NutriumMoisture, a nourishing beauty serum that replenishes skin from deep within giving it a beautiful bounce. Water, Petrolatum, Potassium Cocoyl Glycinate & Potassium Cocoate, Glycerin, Sodium Lauroamphoacetate Hydroxypropyl Starch Phopsphate, Acrylates Copolymer, Lauric Acid, Lauramidoprpopyl, Betaine, Sodium Cocoyl Isethinoate & Coconut Acid & Sodium Isethinoate, Polybutene, Palmitic Acid & Stearic Acid, Fragrance, Polyquaternium-6, Citric Acid Monohydrate, Tetrasodium EDTA, BHT, Guar Hydrxypropyltrimonium Chloride, Methylchloro- Isothiazolinone & Methylisothiazolinone. This face wash comes in a white color tube with a navy blue flip top cap. There are 2 more face washes from this range which differs in the color of their flip top cap and the fonts (& of course the purpose) which I will be reviewing soon. I bought all 3 face washes and I will reviewing them one by one. The flip top cap is a bit tough and requires a little extra pressure to open it but I’m sure it won’t break your nails but if you have weak nails then be careful with it or else you will lose your nails. The consistency of this face wash is quite thick and it lathers well like a cream. This face wash brightens my face and gives it an instant glow though it is supposed to only moisturize as the claims are made only for keeping the skin moisturized but to my surprise, it is adding an amazing glow to my face day by day, my dull looking face again got a life to it and it looks so fresh and bright all day. All thanks to this face wash and one cream which I’m currently using, will talk about it later. It has a very pleasant smell which I really love, the smell gives a fresh feeling to the senses. Brightens the face and gives a glow. Lathers well like a cream. I can’t think of any, I just love it. Of course, I recommend it to every one no matter what your skin type is, you will love using it. And I’d recommend it specially to those who are struggling with dry skin and dry patches, it will keep your skin moisturized while removing the dirt and grime. Ya Megha you are right, do try this one, you’ll love it. 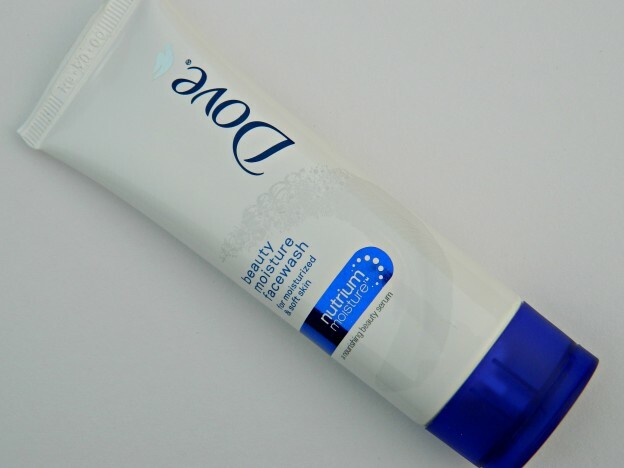 I have used this but liked dove pore care variant more! Hi five Poo we both dry skinned loved it. Oh this sounds lovely! Will check it out! Do get it Esha, you’ll love it. Ya Gowthami, do try it out. dove seems to give one of the best skin care products. 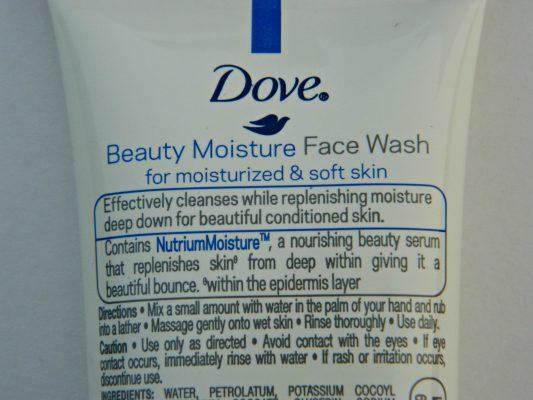 I love Dove moisturizers. I love your new blog name hun. Thanks Arshita, I’m yet to try the orange variant, that one is next on my list. Sounds excellent for dry skin. Nice review! woah its that good? I better try this super soon. Amazing review babe! Thanks Lisha, you must try it.